Micro800 Micro Programmable Logic Controller is designed for smart micro applications, which require up to 304 I/O points, 280 KB of memory and 20,000 program instructions. Unit comes with 250 KB memory, USB programming port, a non-isolated serial port and an Ethernet ports. 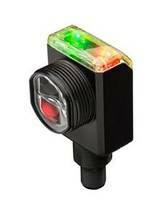 The Micro800 is embedded with Workbench software version 11 used for programming the design. 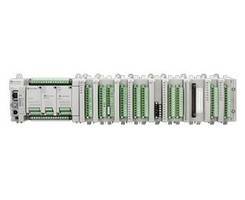 This PLC provides designers with up to three plug-ins and eight expansion I/O modules. 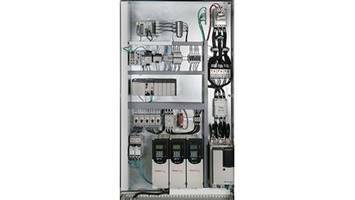 MILWAUKEE, March 29, 2018 — Machine designers can use a new micro programmable logic controller (PLC) to help optimize the control architecture in large standalone machines or systems. 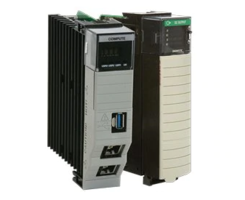 The new Allen-Bradley Micro870 PLC can support smart micro applications that require up to 304 I/O points, 280 KB of memory and 20,000 program instructions. The Micro870 PLC uses a flexible design concept that provides designers up to three plug-ins and eight expansion I/O modules. This capability allows them to easily customize or expand the controller to meet each machine type’s unique requirements. The new Connected Components Workbench software version 11 provides a single design environment for programming the Micro870 PLC. 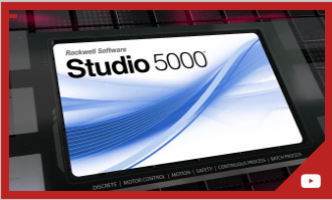 The software can also be used to configure Allen-Bradley PanelView 800 graphic terminals, PowerFlex AC drives, Kinetix component servo drives, electronic overload relays, light curtains and configurable safety relays. This feature can save engineers time and costs compared with using another programming tool for each device in a system. 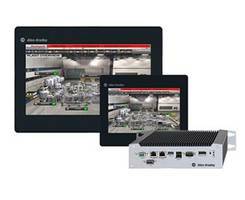 A new conversion tool in version 11 makes it easier for MicroLogix customers to upgrade to the Micro800 controller family. In addition, version 11 allows Encompass members of the PartnerNetwork program to help ease configuration of complementary third-party products via graphical configuration profiles. These profiles support the Micro800 plug-ins as well as expansion I/O to help make the configuration process faster and more accurate.